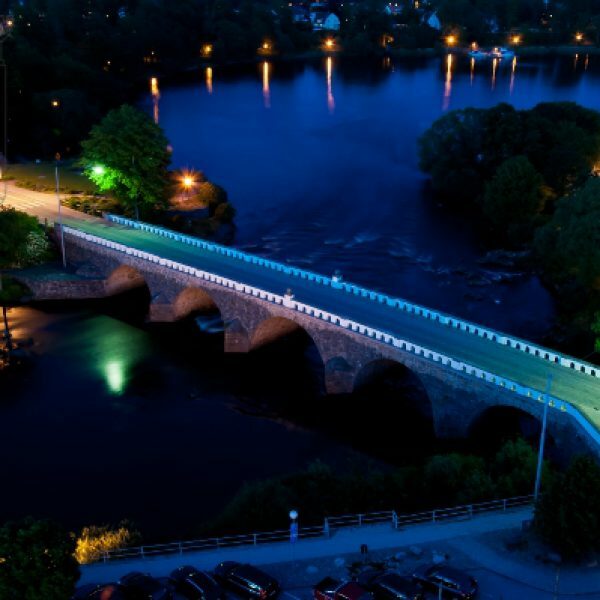 A cycling tour that takes you through the coastal small towns, Halmstad, Falkenberg and Varberg - the most popular part of Kattegattleden Halland. This tour, with salty breeze in the air and sandy beaches, follows the most popular part of county Halland - the coast line. 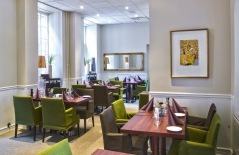 - Accommodations with good standard at 3.5 - 4-star hotels. 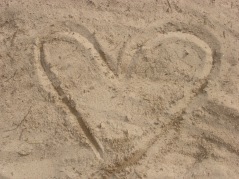 - Your luggage will be taken care of and will be waiting for you, when you arrive to your accommodation for the night. - The experiences are all lined up along the route - charming cafés and restaurants, small villages, ports, handicraft, farm shops and much more! Please note that some smaller parts of the distance remains to be fixed and follows roads with a bit more traffic. 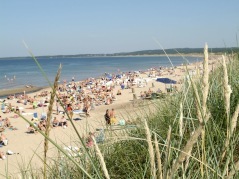 With the first days short day trip there is plenty of time for you to experience the surroundings of Halmstad. 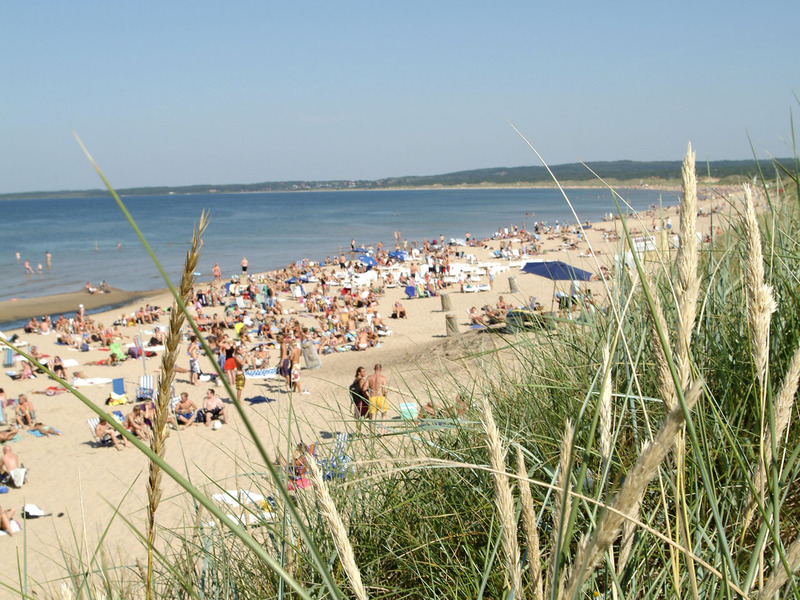 On your way north you will pass Tylösand, one of Sweden´s most well known beaches. Accommodation in a golf hotel with a view of the ocean and the golf course. On your tour further north you will find coastal moorland, shore meadows combined with cliffs and small sandy beaches. Accommodation in a charming hotel in the center of Falkenberg, situated by the river Ätran, famous for its salmon fishing. You ride on small side roads passing fishing villages, shore meadows and sandy beaches, as Apelviken a popular place for surfers, all year round. Accommodation in a top class hotel situated in the middle of the town with free access to their relax area. If you want to take extra care of your body after your cycling tour you can book treatments in the Asia Spa, directly at the hotel. 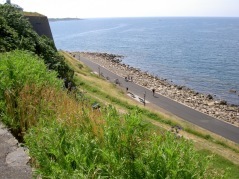 As your hotel is right in the centre of Varberg it is easy to experience the town by foot. 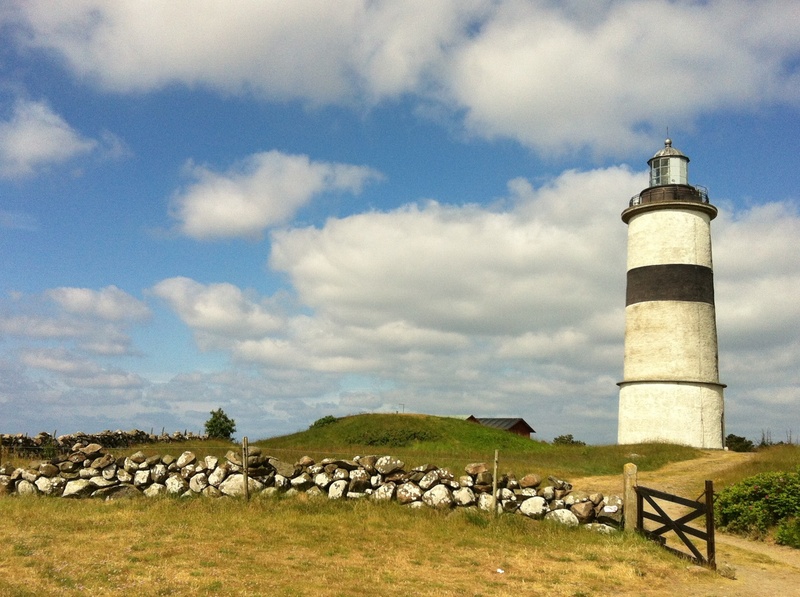 Don´t forget to visit Varberg´s fortress, with its oldest part from the 13th century. There are many small shops, a marketplace and lots of small cafés and restaurants. If you are ready for more adventures you can take the ferry to Denmark from here. Do you need an extra night in Varberg? See "additional services" to the right..
Do you want to cycle the whole route? * GPX files available for GPS or smartphone. * Hotline - for service/questions. Reservation for minor modifications that will be informed in advance. Up to 5 years in parents bed: 85 %. 2-course dinners, excl. drinks, day 1 and 3, total cost pp: SEK 650:-. Childrens meal can be ordered and paid for at the restaurants. 3 days, day 1 - 3. Note that the prices for the bike rental includes transporting the bikes back to Halmstad. You don´t cycle the same distance twice - new day trips with new experiences every day! City bike, 3 or 7 gears and children´s bike, including bike transport: Please contact us for prices. Cancellation fee: SEK 300. Read more "Book", booking, terms and conditions. Maps and information will be sent to you after final payment, in good time before your arrival. Read more, "Book", booking/terms and conditions. 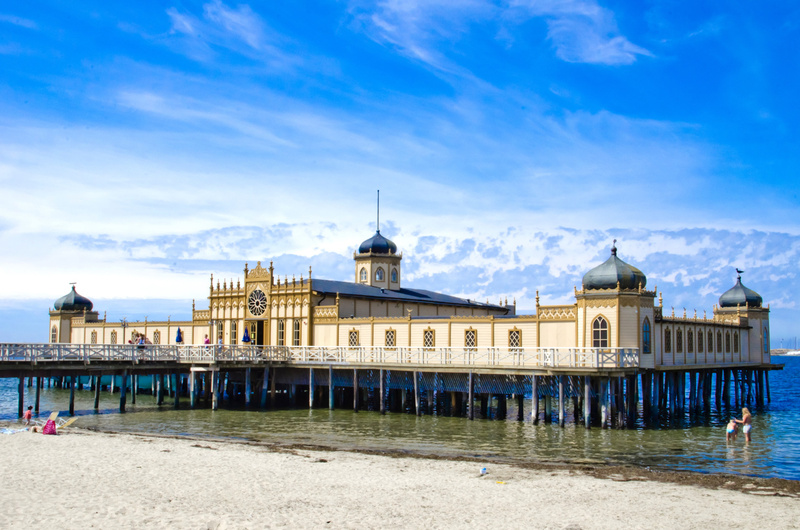 The Golden HALLAND package starts in Halmstad and ends in Varberg. If you arrive by car, it is easy to park in Halmstad and then go back by train or bus when your cycle trip ends. If you arrive by train the train station in both Halmstad and Varberg are conveniently located. Book now or send an inquiry. 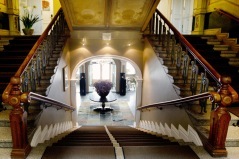 You can book an extra night before start in Halmstad or after arrival to Varberg. 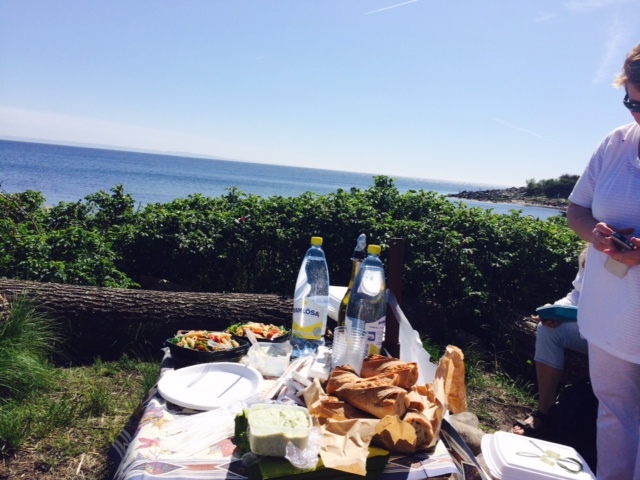 You´re most welcome to the Swedish Westcoast! 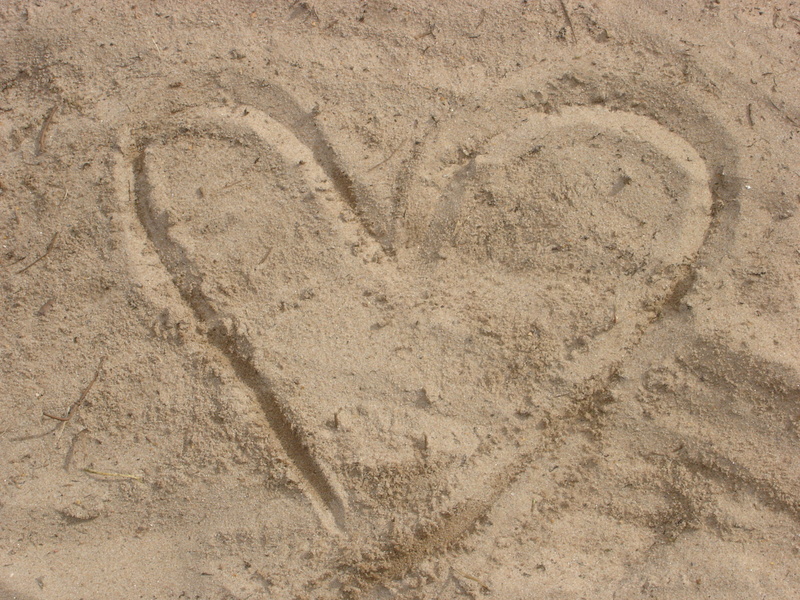 A lot of sandy beaches with great opportunities to take a refreshing swim in the salty ocean. Day 1 you are staying at a golf hotel just north of Halmstad with a view of the ocean and the golf course. Maybe a picnic on your own by the sea? If not, there are a lot of restaurants opened for lunch along the route. 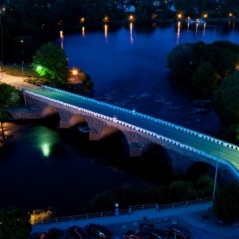 In Falkenberg you will stay at a charming hotel, just beside the river Ätran, famous for its salmon fishing, day 2. You pass the Glommen light house on your way between Falkenberg and Varberg. Photographer: Helen Andersson. The last overnight stay with dinner in a unique hotel, where a charming turn of the century meets modern comfort. Access to the relax area, day 3. 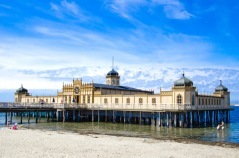 The bathhouse, Kallbadhuset, in Varberg, open all year . Biking package with transport of your luggage makes your cycling tour easier.